BMW has made its fortune on being a performance brand, and the 135i is the cheapest way to get the N55B30 engine in BMW’s lineup. 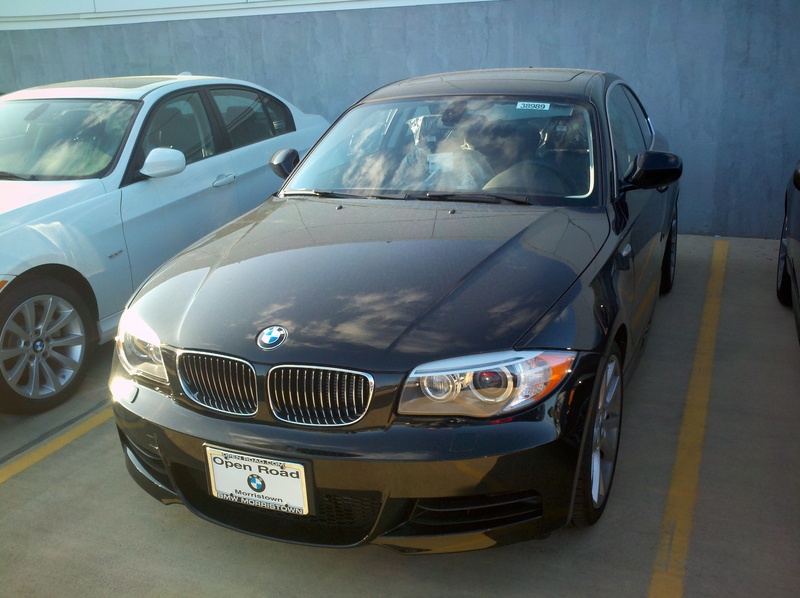 The 1-Series has been around since 2008 in America, and has been reasonably successful in the USA. Since I felt like seeing what the turbocharged inline six felt like in BMW’s lightest 4-place car, the 1-Series was a natural fit. I was not disappointed. 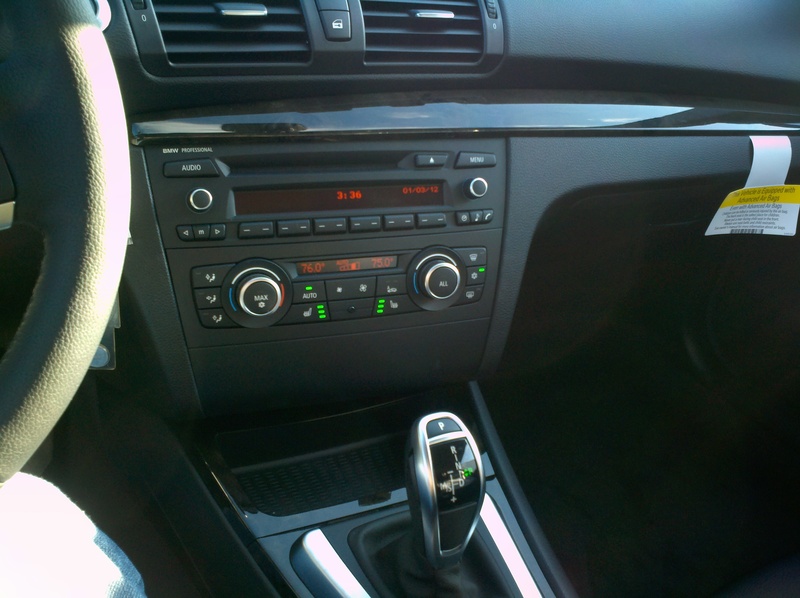 The test vehicle in question was a black metallic 2012 135 coupe with a black interior. The car I drove was also remarkably low-optioned, with leather seats, heated front seats, an anti-theft alarm, and Bluetooth–no packages. The 1-Series starts at $31,200 for the 128i and $39,300 for the 135i, which is cheaper than the equivalent 3-Series coupe but still rather pricey (the test car cost approximately $45K, close to the current price for a 335i coupe). The 135i is a fairly nice car, however–the exterior has been done very well (it is in some ways a throwback to the old 2002) and the body looks well-trimmed and muscular, with short and chunky lines. 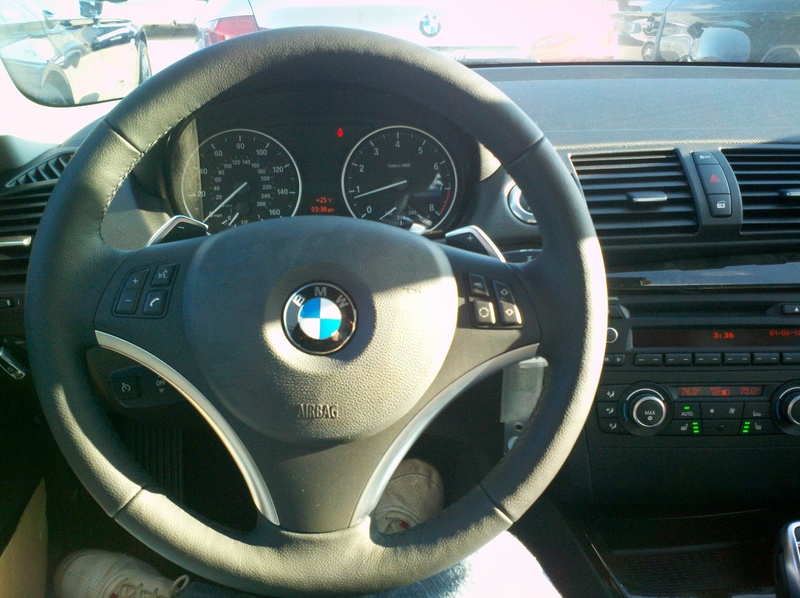 The interior is typical BMW, with the entire car designed around the driver. Everything is well-positioned and nothing feels cheap–and for nearly 40 grand, that’s a requirement. The seats are snug and the driving position is good, with the steering wheel placed so no instruments are cut off. The back seats are better off for children or groceries–even with my driving position, there’s not a lot of room at all. Trunk space is acceptable for a car this size. Quality is all there as well, with no cheap materials invading the interior. Sightlines are very good in this car as well, with few blind spots thanks to the thin pillars. Under the hood lies the treat of this car. The 135i packs a wallop, in the form of a 3.0L, 300hp twin-turbocharged inline-six engine, shared with almost every other BMW product. A six-speed manual is still standard, with new dual-clutch 7-speed transmission as a $450 extra. 2012 brought a whole new bag of little changes like bodywork and rims, but the engine still remains. At normal speeds, it feels suspiciously like a normal BMW, with no indications in street traffic that it’s got 300hp sitting in the front. Of course, with a more liberal application of the throttle, this car wakes up instantly–on a local on-ramp, the little coupe simply tore its way up to nearly 90mph without ever feeling out of breath. The dual-clutch works great too, with well-weighted paddle shifters and excellent shift times. It’s a little expensive and looks a bit like a toy, but thanks to its low curb weight, the 135i feels quite fast once you bury the pedal into the mats. The chassis is set up quite nicely too. The brakes are well-engineered and very consistent, while the ride quality is great. The tires are runflats, which aren’t my first choice, but they still have more then enough grip for their size. It steers beautifully, with just enough weight in the power steering and a great amount of feedback. The small steering wheel also gives a feeling of complete control. Around corners, the 135i is nimble and controlled, with little body lean even on the non-Sport suspension settings. All in all, the 135i gives the driver a feeling of utter calm, as its chassis and engine are well-matched. For 45 large, it’s not cheap for a car this size, but it’s a great car nonetheless. From a performance standpoint, I love it–but from a value standpoint, I think it needs help, as when the options start to add up, the cost can skyrocket and the size of the car becomes a real issue next to the 335i, the audi S5 coupe, and the Infiniti G37 2-door. If you believe the thrill is worth the cost of entry, then the 135i will not disappoint.